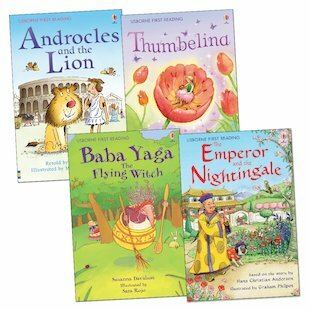 A glorious assortment of classic fables and tales to enthrall and stretch developing readers, bursting with charm, colour, and flights of imagination! Taken from Level Four of the popular Usborne First Reading scheme, these lovely books introduce an array of magical stories from around the world, told in glowing pictures and carefully-levelled text. Each book is developed by reading experts, and comes in a beautiful hardback edition with a ribbon marker – perfect for young readers who are building up their stamina and fluency.